In 2009 I did some field work in Ramsey Canyon, in the Huachuca Mountains of Arizona. 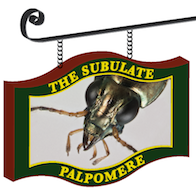 The good people of the Nature Conservancy site there gave me permission to collect, and in exchange I sent them (after the trip was over), a little four-page field guide to the Bembidion I found in the canyon. I figured that little field guide would vanish into some filing cabinet somewhere. So imagine my surprise to hear (both from Jim O’Hara in 2010 and now Wendy Moore in 2014) that the little field guide not only still exists, but is on display for the public. Here’s a picture of it that Wendy took recently. It pleases me to no end to think that outdoor enthusiasts, including the flocks of birders, who enter Ramsey Canyon are exposed to my favorite little beetles, and that they can read about the species that live along the edges of the nearby stream. 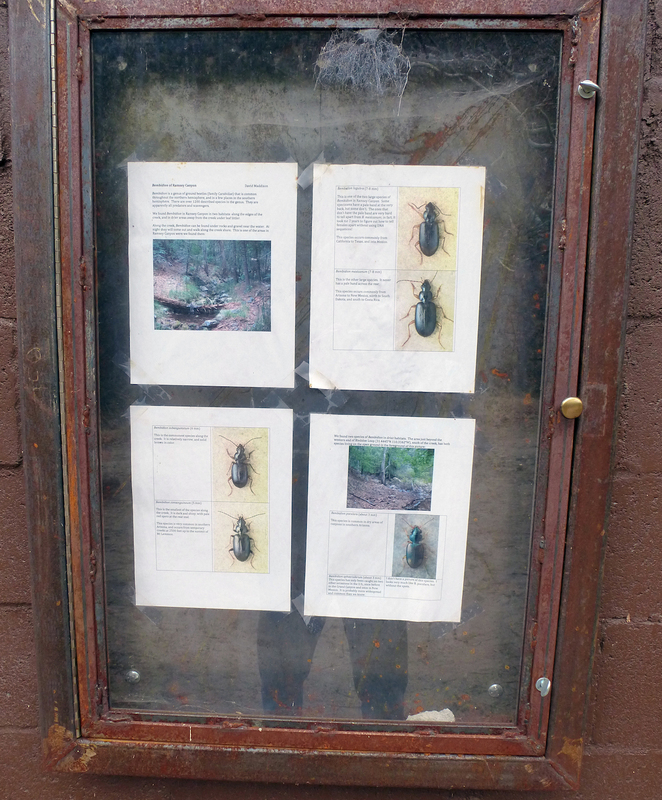 This entry was posted in Public Engagement & Citizen Science and tagged Bembidion, Huachucas, outreach, Ramsey Canyon. Bookmark the permalink. Science has always been better when discussed with others, for me. I would imagine people who saw the display would be much more excited to find the beetles than the ones who haven’t read of their existence, then happen upon them. A well preserved paper on the critters brings them their full glory. I think nature worldwide will have a better chance of surviving if naturalists can make more of these free to look at displays at ranger stations, parks and libraries that contain some local species.